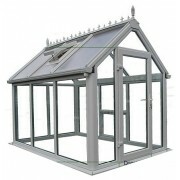 Introducing a new top quality greenhouse complete with toughened double glazed glazing and 25mm polycarbonate. The greenhouse comes with one side vent and a roof vent. The door has a quality lockable handle and heavy duty hinges. Supplied complete with cresting and finials on the roof and high quality 125mm Regency guttering. The double glazed units reduce the heating bills during winter and protects even the most delicate plants from winter weather. Built from top quality UPVC profiles this greenhouse can be supplied made to measure to meet you exact requirements giving you the opportunity to use the space you have available. All the products used are covered by 10 year manufactures warranties. Introducing a new best quality greenhouse complete with toughened double glazed glass and 25mm polycarbonate. The greenhouse comes with one side vent and a roof vent. The door has a quality lockable handle and heavy duty hinges. Supplied complete with cresting and finials on the roof and high q.. Introducing a new top quality made to measure greenhouse complete with toughened double glazed glazing and 25mm polycarbonate. The greenhouse comes with one side vent and a roof vent. The door has a quality lockable handle and heavy duty hinges. Supplied complete with cresting and finials on the roo.. Introducing a new top quality PVC greenhouse complete with toughened double glazed glazing and 25mm polycarbonate. The greenhouse comes with one side vent and a roof vent. The door has a quality lockable handle and heavy duty hinges. Supplied complete with cresting and finials on the roof and high-q.. Introducing a new top quality greenhouse complete with toughened double glazed glazing and 25mm polycarbonate. The greenhouse comes with one side vent and a roof vent. The door has a quality lockable handle and heavy duty hinges. 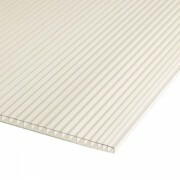 Supplied complete with cresting and finials on the roof and high quali..